This morning, I have a situation where a client is considering me to headline an event in the road building industry. I’m encouraging them to get on the phone with me to help them understand I’m the right guy for a highly customized keynote on the future of roads and highways, but while waiting on that, I thought I would simply write them a keynote topic description! Why not – I’ve been doing numerous customized keynotes in this area. Here’s a video clip from a recent one in which I talk about the impact of hyper-connectivity and the Internet of things on the future of roads and bridges – and the fact that none other than Amazon has this business in their sights! The pace of change with future road and highway technology is going, if you pardon the pun, from fast to furious! We are witnessing the arrival of intelligent highway monitoring technology, embedded into roads, bridges and other aspects of our transportation system, accelerating the business of road technology to the speed of Silicon Valley. The arrival of V2I (“vehicle to infrastructure”) technology, which allows cars and vehicles to communicate with this embedded, intelligent infrastructure, providing for more robust, intelligent traffic routing. The emergence of the Internet of Things, which promises a new era of hyper-connectivity in the design of vehicles and everything that they interact with. The arrival of new construction methodologies and ideas involving 3D printing, advanced robotics and virtual construction capabilities. An acceleration in the very nature of the materials used in bridge and road construction, such as developments in the science of concrete that leads to new opportunities for tensile strength. The fact that Amazon is now a harbinger for business model disruption in the ‘business of traffic’ – the organization actually owns a patent involving big data and analytics related to traffic flow, which might provide for a pay-per-access to intelligent highway routing capabilities! The era of self-driving cars, which will take the industry from a slow and simple world of innovation to one that parallels the speed of smartphone innovation! Advancements in battery technology, the rapid evolution with the electrical grid as a result of renewable energy and other trends — and the sudden arrival of roads which charge vehicles as part of the business model of transportation! Intelligent street lights which become an overall part of the transportation system, providing for monitoring, analysis and traffic management! Then there is the skills issue – as the build a more complex road and highway infrastructure of the future, the current range of skills might not be up to the task. Not to mention the arrival of the next generation who will arrive on the job site with their iPad, mobile device, with full expectations of a hi-tech, advanced and sophisticated future of road construction. In the era of Uber, Tesla and Amazon, leaders must have the insight into unique opportunities for innovation and change. Everywhere we look, we can see acceleration, speed, and velocity: and in times like these, time isn’t a luxury. 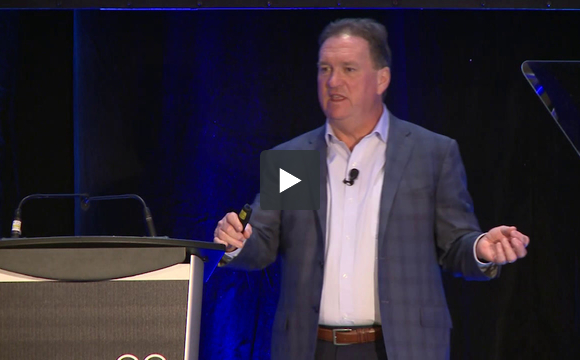 In this keynote on the future of roads and highways, Futurist Jim Carroll takes you on a voyage into how the new rules of business and technology are providing for a reality in which the spirit of agility isn’t just an option – it’s the new normal!